Congratulations to Firefighter/Paramedic Chris Elrod for obtaining his FP-C Certification as a Certified Flight Paramedic. Elrod is assigned as the primary flight paramedic for C.A.R.E. Flight on C-shift. 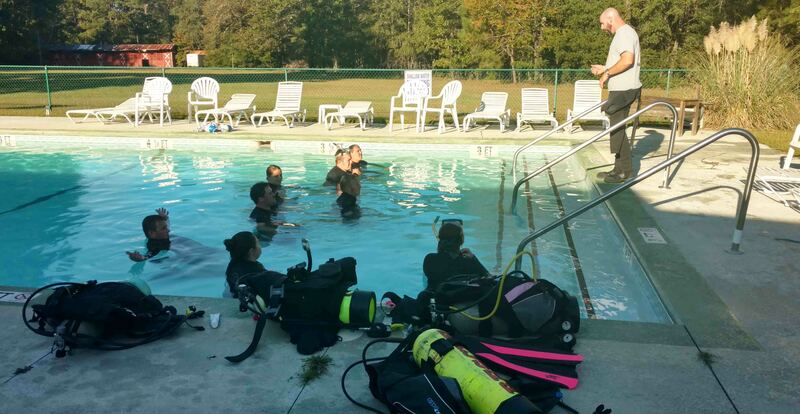 Eight personnel are currently participating an a PADI Open Water SCUBA Diving Class being conducted at HQ and the pool at the Elks Lodge during October. This is the first of many courses to prepare our personnel to function on the Dive Team. Click here for more information. 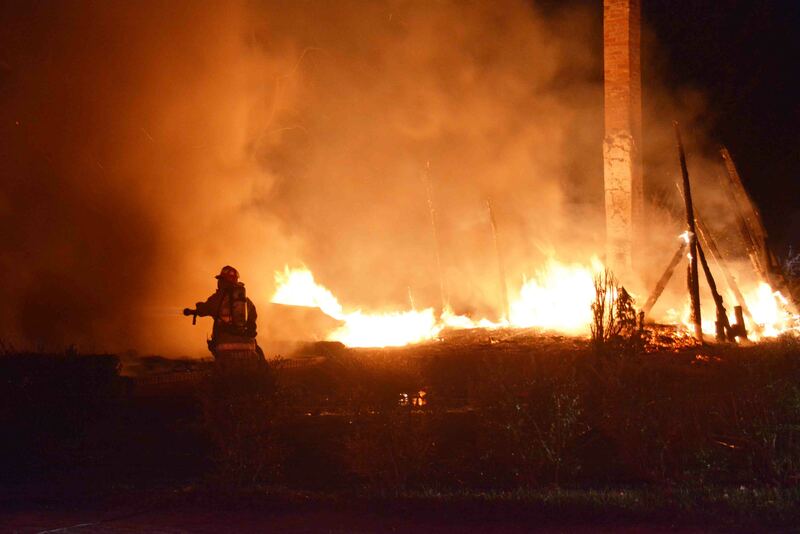 While westside units were battling a structure fire on Community Ave. north of the Town of Smoaks, a second structure fire was reported at 562 Durango Lane north of Cottageville on the east side of the county. 9-1-1 Dispatchers were notified of the incident at 19:11 on Friday evening 20-October. Click here for more information. Firefighters stopped the spread of flames through a residential structure at 902 Community Ave Friday afternoon 20-October. At 17:43, Fire-Rescue was notified of a fire in the kitchen of the home. Engine 18 arrived to find heavy smoke conditions with fire venting from a kitchen window. Click here for more information. 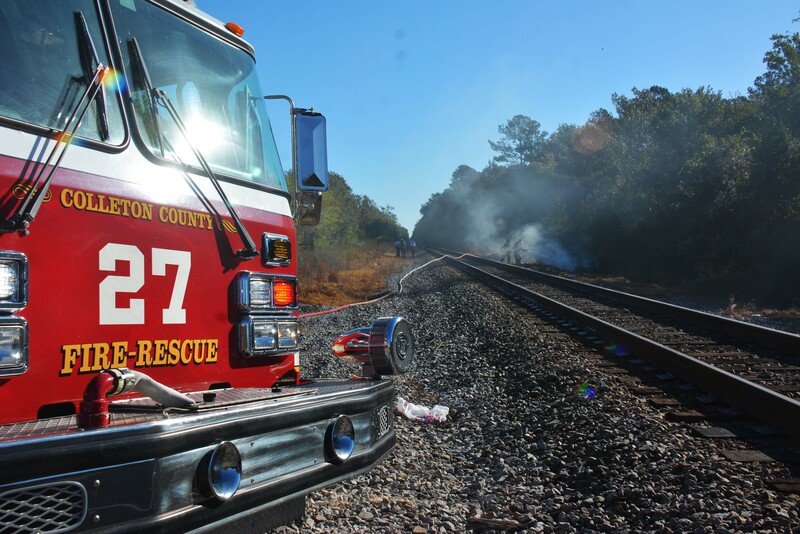 A 27 year old Walterboro man died from injuries he received after his car collided with a northbound Amtrak train at a private rural rail crossing near the Green Pond community. The accident was reported at 09:28 Friday morning 20-October. Witnesses advised the car failed to stop at the crossing. Click here for more information. Fire-Rescue began the month long Fire Prevention and Life Safety Education in the schools the first week of October. 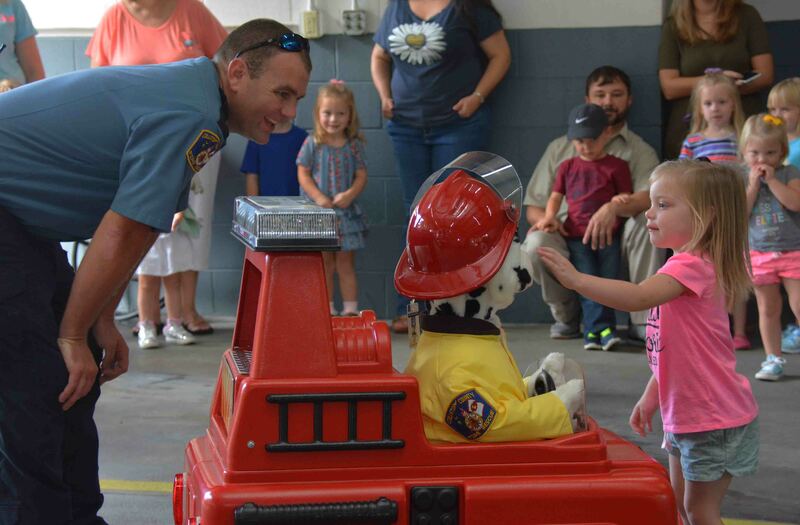 The program actually runs throughout the year with presentations and demonstrations for all age groups, but a concentrated effort to educate the younger school aged children coincides with National Fire Prevention Week during the month of October. Click here for more information. 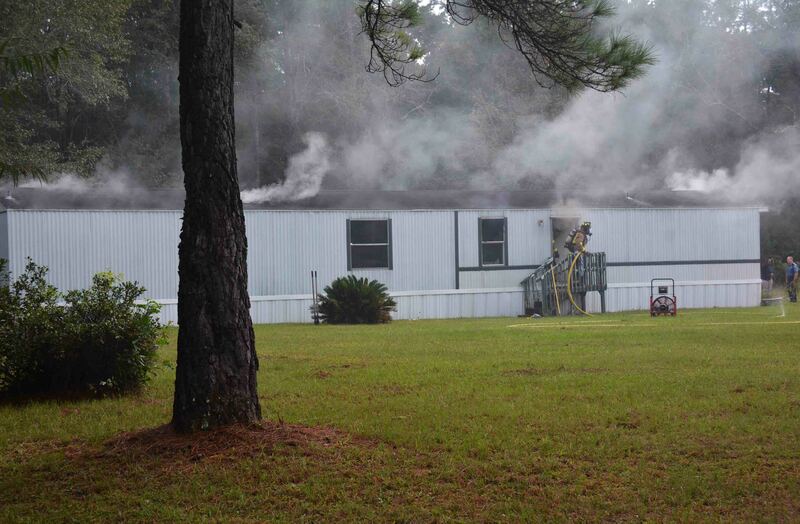 A north Walterboro family was displaced following a fire in their home Tuesday afternoon 10-October. At 15:26, neighbors reported smoke coming from the residence at 782 Buffalo Lane. Engine 19 arrived to find heavy black smoke coming from the singlewide mobile home. Firefighter-Paramedics deployed two 1-3/4 handlines to the building and discovered flames coming from the rear of the structure. Click here for more information. A Summerville man died in a single car MVC in the 3900 block of Peirce Road just south of McDanieltown Road Sunday night 08-October. 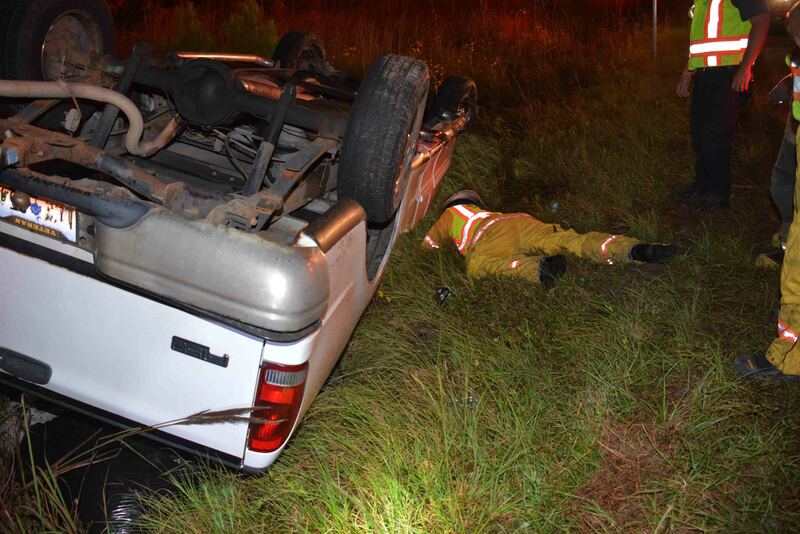 At 19:11, witnesses notified Colleton 9-1-1 Dispatchers that a pickup truck had left the roadway and overturned. They were not able to reach the man, but advised that he appeared not to be breathing. Fire-Rescue Medic 9 arrived minutes later and found the white ford pickup truck upside down in the ditch. Click here for more information. 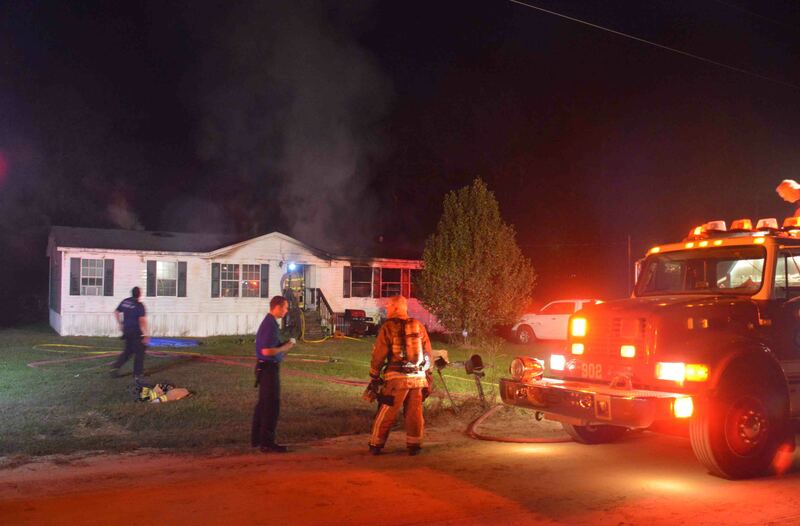 A Springtown home was destroyed in an early morning fire Sunday 08-October. 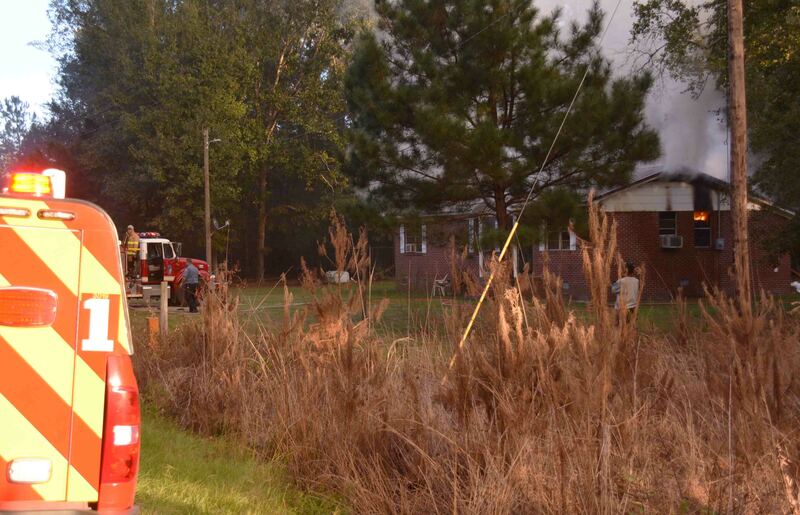 Fire-Rescue was notified of the incident at 567 Bent Gate Lane at 04:19 after a neighbor noticed the flames. Engine 26 arrived to find the single story structure fully involved. The roof, all of the walls, except a portion of a west wall and some flooring had already collapsed. The fire had been burning undetected for some time before it was reported. Click here for more information. 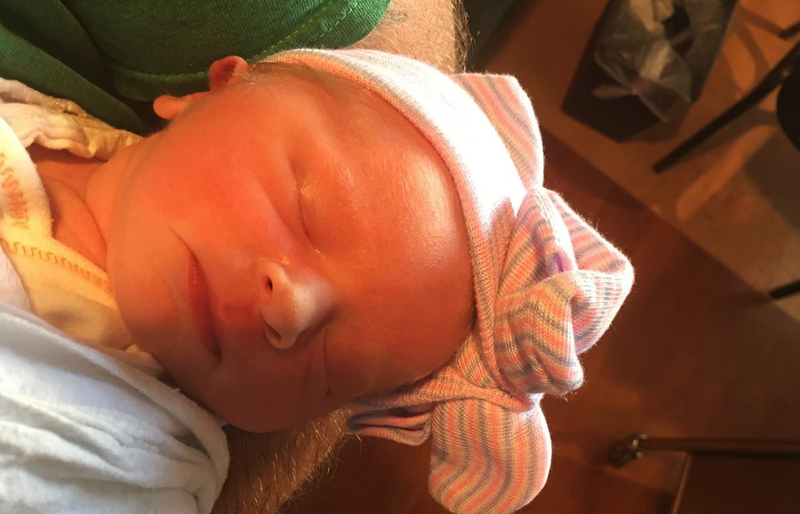 We wish to congratulate Firefighter-EMT Brad Welch and his wife Emily on the birth of their daughter, Harper Lee who was born Friday morning 6-October at 05:36. Harper was 6.9 pounds and 19.75 inches. Both baby and mom are doing fine.